FAQ's ~ sed quia non numquam eius modi tempora. 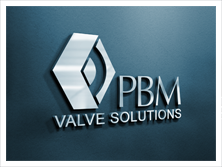 | PBM Valve - Prominent Worldwide Manufacturer of Safe, Reliable, High Quality Valves! Hydraulic shock is the sudden elevation in line pressure caused by the change in speed of a liquid. A shock wave is created in manufacturing lines when moving liquids suddenly stop. The liquid bounces back and forth until it eventually loses momentum and stops. Hydraulic shock can damage or destroy the manufacturing line or the valve itself, and is often overlooked when valve selections are made. A banging sound is an indication that a shock wave may be traveling through the piping. Strong shock waves will actually cause the pipes to move. Ball valves are susceptible to quick opening and closing. Their relatively small size and low torque make them easy to quickly open or close. Damage can be avoided during the design stage if the length of the piping run and the potential for hydraulic shock are taken into consideration. The time it takes to close a valve must be greater than twice the length of the upstream pipe. The more rigid the pipe, the slower the valve must close. The best methods of prevention of hydraulic shock are to limit the velocity of non-compressible Liquids and to choose the right valve for specific applications. PBM’s Adjust-O-Seal® design feature allows in-line adjustment to compensate for normal wear on seats, reducing downtime, maintenance and repair costs, thus increasing the time between seat replacements. The adjustment can usually be done several times before the seats have to be replaced. The adjustment is accomplished by slightly tightening the body bolts, which compresses the seats against the ball and restores the valve to a leak tight condition. The valve seats are always compressed against the ball which keeps process media out of the body chamber surrounding the ball. This seal also creates a double chamber or “Dual ChamberTM”. One chamber is inboard of the seats, and the other chamber is outboard of the seats. In the closed position, the Dual Chamber allows CIP/SIP flow to enter into purge ports through the body while process media is completely shut off at the upstream seat. TFM™, a trademarked name of Dyneon, a 3M company, is a modified polytetrafluoroethylene (PTFE) fluoroplastic material that maintains the exceptional chemical and heat resistance properties of conventional PTFE, but has a significantly lower melt viscosity. Ball valve seats are just one recommended application of TFM because of required cold flow without the use of fillers. This material is generally used for compression molding, isostatic molding, automatic molding, and ram extrusion. TFM is also used in semiconductor and chemical processing system components, as well as in the manufacture of thermoformed products. In addition to TFM’s reduced melt viscosity and reduced cold flow, it’s features also include lower porosity and permeability, lower void content, excellent non-stick properties, and a higher elastic modulus. The advantages of TFM include smoother surfaces, reduced deformation under load, reduced extractables, and improved design flexibility. Dyneon TFM™ also has as an unlimited shelf life as long as it is stored in a clean, dry place. Cv is defined as the number of US gallons per minute, of ambient temperature water that will flow through a valve 1 psi pressure drop. Cv basically gives an idea of flow when the valve is open. Cv is important to know when sizing the proper valve to a valve system. Cv is also important to pressure drops. PBM measures the Cv of its valves in a flow loop, which gives a very accurate Cv factor. PBM also verifies the Cv values through calculations. By controlling the surface finish to reduce cracks and crevices, the Cv of a valve can be improved. Yes, please review our pdf here to explain how PBM processes your data.